Hi lovelies! Today's post is something a little bit different. I recently got asked by the lovely Bethany (B Nailed To Perfection) to join the new round of 26 Great Nail Ideas/Crumpets Nail Tarts Challenge. I've never done a proper nail art challenge before so thought it would be fun. It's a year long challenge with themes every two weeks, the first of which is today. 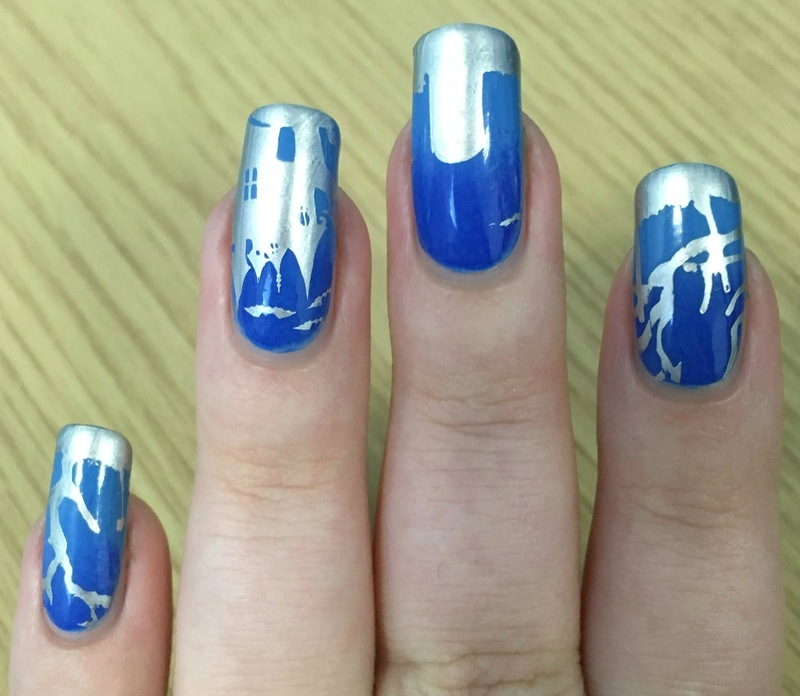 So here's my mani for the blue and silver theme - which I've made Halloween-y, of course! Read on to find out more! 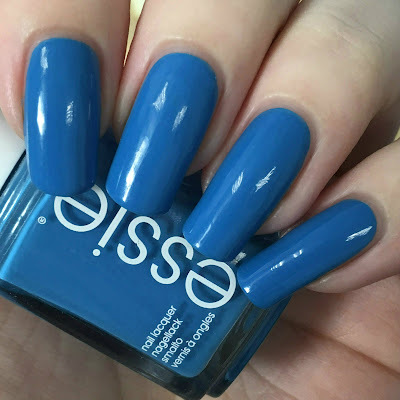 I started with a base of Essie 'Avenue Mountain'. This is 99.9% a one coater. You could definitely get away with a single coat, but I couldn't seem to leave it. I had some very very minor patches so added a second coat. Below is two coats and topcoat. Using a sponge, I created a gradient with Barry M 'Blue Grape' and Essie 'Avenue Mountain'. Both are very opaque polishes, so it was easy to build them up. The gradient is a bit more obvious in person than in the photographs below. I topcoated to blend the colours together more subtly. I then stamped my graveyard design. 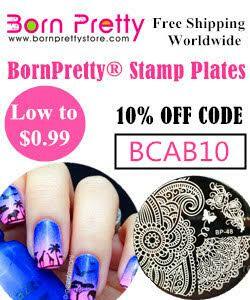 I used my Born Pretty Store clear stamper and scraper (reviewed here), and Barry M 'Silver Foil'. I stamped the haunted house from MoYou London festive plate 15 onto my ring finger, and various parts of the graveyard image from Ejiubas plate EJB-04 onto the rest. I finished by sealing everything in with topcoat. What do you think? I think it came out really well! 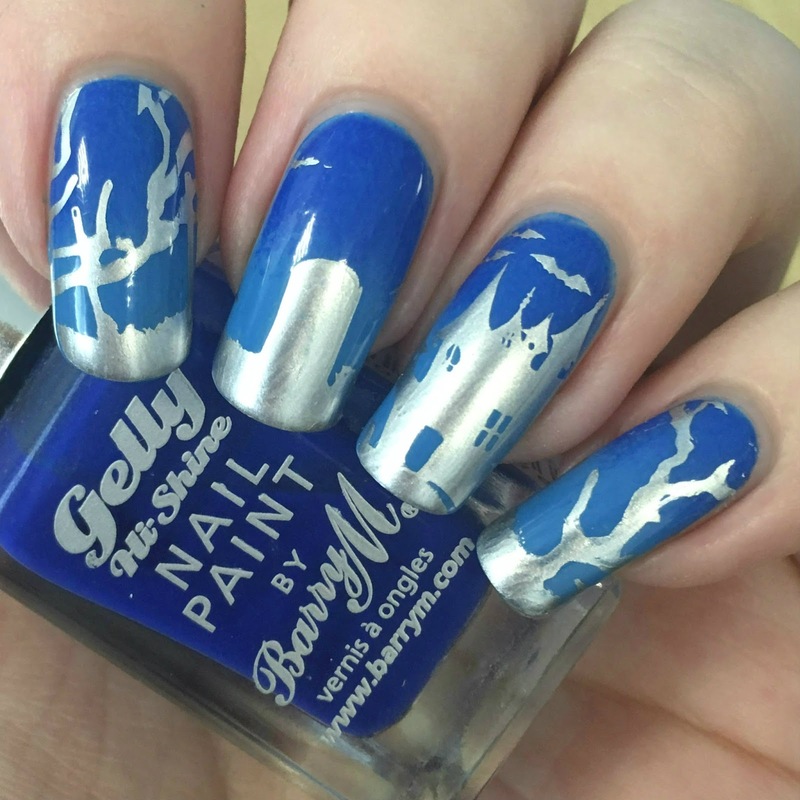 I really love playing around with spooky and fun designs for Halloween, so I'm happy I managed to fit one into the blue and silver theme. I'm also excited to finally be taking part in a nail art challenge. I'll be back in two weeks with the next theme - no spoilers! I really like the subtle gradient! Beautiful blending job. Your gradient is so subtle and soft, I love it! Lovely gradient. Mingle look so smooth.